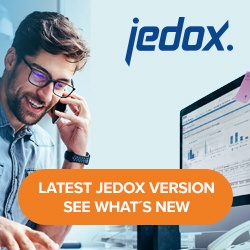 Jedox Views offer the ability to use a stored subset of a dimension instead of the full dimension. A subset can be selected for any dimension, whether it is used in the header area of the View, its rows, or its columns. Both global subsets (accessible to all users) and private subsets (accessible only to the current user) can be selected. When used in a dimension in the header area, the selected subset acts as a pre-filter for the element picker, called by double-clicking on the dimension’s element in the view. The subsequent dialog will only show the elements that are part of the subset, instead of the full dimension. When enabling zero suppression, it is applied on top of the stored subset, additionally filtering elements that are empty (in the context of the selected elements of the other dimensions). When used for columns or rows, selected subsets similarly pre-filter the list of elements in the view. When expanding elements, only child elements that are part of the subset will be expanded. This option is only active if you use a stored subset for a Jedox View. If this option is not set, it prevents overriding options of a stored subset (e.g. the alphabetic order) during the creation of a View. If this option is set, the subset will be shown in the View exactly as it was saved. However, the user will not be able to expand/collapse elements in the view axis where the subset is used. Usage of variables of stored subsets in the View context is currently not supported.